Are you in the market for plantation shutters in Australia and are wondering what you can expect to pay? 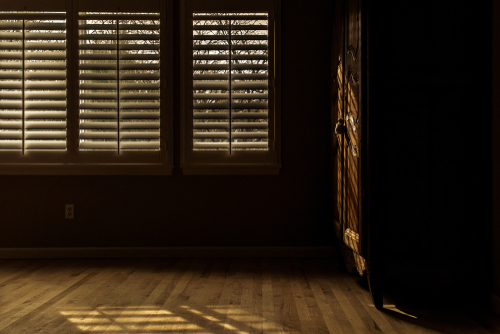 What do you need to know about getting these shutters for your window treatment at home? These are valid concerns — after all, plantation shutters do not come cheap, and people tend to look for ways to mitigate the expenses in any way they can. How affordable are plantation shutters? On average, people spend around $2000 for quality blinds and shutters in Sydney. These figures can vary depending on the choice of material and the size of the plantation shutters. You also have to consider additional costs such as shipping, installation and customisations. All these ultimately determine the total expense and well worth considering. Of course, you might be wondering – what prices are considered reasonable? To find the answer, you would do well to learn a thing or two about what goes into the cost of getting plantation shutters for your door and window treatment. A significant part that determines how much you can suppose to spend lies on the type of material your plantation shutters are made from. If you are looking to take the least expensive route, then you can opt for plantation shutters made from faux wood which is relatively cheap (around $80 to $200) and mimics the appearance of hardwood although it is not as durable. Solid wooden shutters on the other hand can cost you at least $600 and provides an excellent balance between aesthetics and durability. If you would rather have the most durable shutters which also provide the best protection, then you should consider aluminium shutters. There is little else that you can do with metal shutters regarding aesthetics apart from painting them in colours that match the rest of your home. While no doubt the most expensive option, most people would agree that they are well worth the cost as metal shutters can be a formidable deterrent against intruders and offer unrivalled protection against the harsh elements. Another aspect that you have to consider when assessing the cost of getting plantation shutters is the process of installing the plantation shutters itself. If you are confident about your handyman skills, you can opt to get DIY shutters and install them yourself which would save you a modest amount by not having to pay contractor fees. If you prefer to leave the job to a professional, then expect to pay professional costs which starts at around $100 per hour depending on your area and overhead expense. While it represents an additional fee, the majority of people would concur that it is well worth it especially if you want to make sure that the task is done right the first time. Of course, if you knew what you are doing and have all the essential tools there’s no reason not consider the DIY approach. You would know what goes into your window treatment and can control your expenses in the process not to mention the sense of achievement that you can get out of it. Are you ready to get started with some great deals on plantation shutters along with other types of window treatments online? You can expect no less out of “Shutters Australia”! Phone us today on 1300 853 206 to learn more or browse through our available selection online.